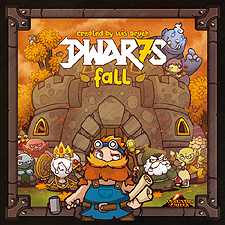 To survive the long and terrible winter that is approaching, the dwarfs need to prepare. It is time to collect gems, build castles and stock up on food. The fire dragons are sleeping. The frost giants are lurking. Fall is precious and it is vital to plan your actions wisely! Build your own dwarf kingdom, slay dragons! and beat your friends!